Dental sealants are a thin plastic coating applied to the chewing surfaces of back teeth with deep pits and fissures (grooves) to help prevent the formation of dental caries (dental cavity). and food debris from the base of these grooves. Below right, is a closeup of the tooth with a dental sealant. The chewing surface is smooth and enables a toothbrush to effectively clean the chewing surface of the tooth. How does a dental cavity form? In order to understand the benefits of dental sealants, it’s important to understand how a dental cavity forms in the first place. A dental cavity (aka dental caries) is the result of a bacterial infection. Our mouth contains a combination of beneficial and bad bacteria. The bad bacteria uses sugars consumed in our consumed food and beverages to make an acid. This acid demineralizes or weakens the outermost layer of our tooth called tooth enamel. is irreversible and requires your dentist to place a dental filling. How do sealants prevent a dental cavity? A dental sealant is like a shield, it will prevent the acid from consumed foods and beverages from demineralizing vulnerable deep pits and grooves on permanent molars so long as the dental sealant remains completely bonded. The dental sealant material is applied to the chewing surface of a back molar tooth with deep pits and grooves. Afterwards, the sealant material is cured with a special blue light that will harden and bond the dental sealant to the tooth. The result is a smooth, easy to brush and keep clean tooth surface protected from acid demineralization. It is nearly impossible for toothbrush bristles to effectively clean the base of teeth with deep pits and grooves. Numerous studies have shown that unsealed molar teeth with deep pits and fissures are at highest risk for dental caries. Dental sealants provide 100% caries protection in pits and fissures that remain completely sealed. In fact, dental caries is one of twenty six leading factors that are included in the Healthy People 2020 initiative by the Office of Disease Prevention and Health Promotion. Their goal is to improve the health and well being of people living in the US by 2020. Our own Minnesota Department of Health is an active participant in this initiative. 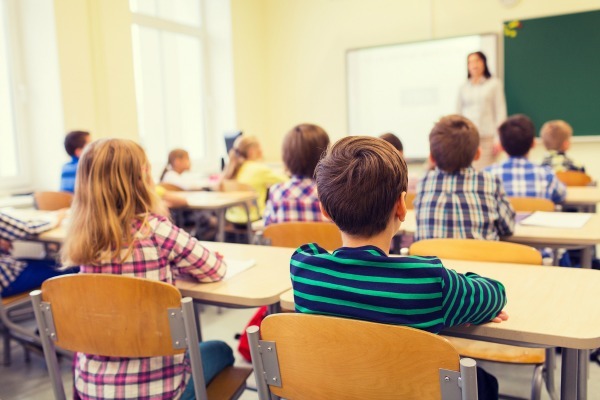 In 2015, the Minnesota Department of Health’s Oral Health Program completed an open mouth assessment of caries experience along with the presence of dental sealants among a representative sample of third graders in Minnesota public schools. Their results showed that half of Minnesota’s third graders have or have had tooth decay. What teeth benefit the most from dental sealants? pits and grooves which are difficult to clean and effectively reach with a toothbrush. The best time to place a dental sealant is as soon as the chewing (occlusal) surface is visible in the the mouth. 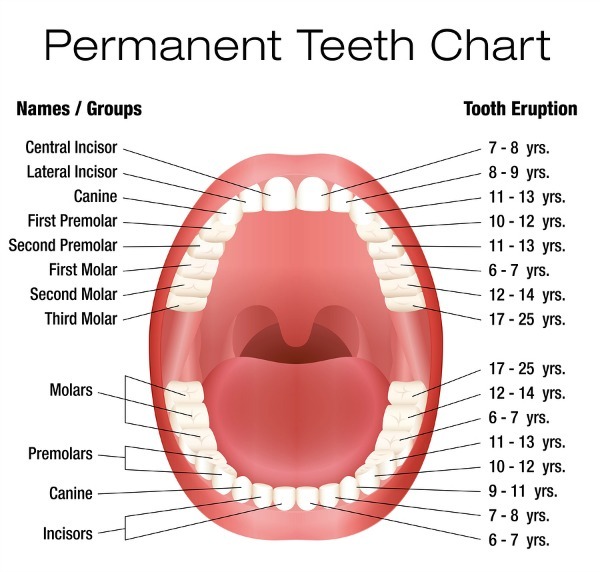 A permanent set of teeth has 3 sets of molars. First molars erupt between five and seven years old. Second molars, erupt around twelve years old. Third molars or wisdom teeth have a wide range of eruption, typically from sixteen to thirty years old. Because many people have their wisdom teeth extracted, dental sealants are typically only applied to first and second permanent molars. Anyone who is at high risk for dental caries and has unsealed permanent molars with deep pits and fissures (grooves). Each dental sealant takes only a couple of minutes to place and requires no drilling or anesthetic. 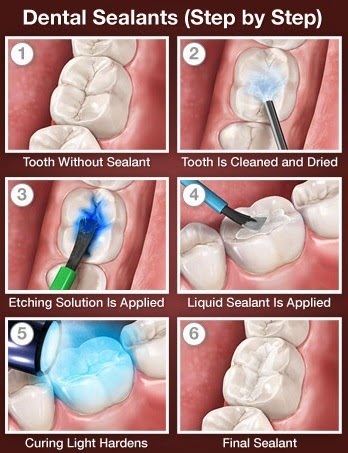 A dental sealant is applied to a tooth in 5 easy steps. Tooth to be sealed is thoroughly cleaned, rinsed, and dried. A blue gel (etch solution) is applied to chewing surface of tooth for 30 seconds before tooth is rinsed and dried. Dental sealant material is applied to fill deep pits and grooves of tooth. Dental professional will shine a blue light on tooth to cure, harden, and bond the sealant to the tooth. Check to ensure sealant is retentive. How long does it take to place a dental sealant? Each dental sealant can be applied in just a few minutes. 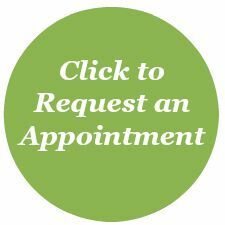 Call (763) 586-9988 to schedule or click button below to request an appointment by email. No. The application of sealants does not require any drilling or anesthetic. Dental sealants are easy to care for and have an average lifespan between five to ten years. Listed below are some easy care tips. Minimize consumption of acid containing beverages like soft drinks and juice. Over time, the acid in these beverages can lead to premature breakdown and integrity of sealant. Avoid chewing ice. It can chip the sealant and leave previously sealed tooth vulnerable to dental caries in between professional dental visits. Also prevents teeth from developing cracks and tooth sensitivity. during each dental caries examination. Dental sealants are considered permanent. There are alot of variables that impact the lifespan of a sealant. On average, dental sealants last between five and ten years. Your dentist will examine each sealant for retention during every dental exam. dental filling and eventual dental crown. Are dental sealants covered by dental insurance? Most dental insurance plans provide benefit coverage for dental sealants. Insurance plans vary. Please feel free to ask one of our patient care coordinators regarding your specific insurance plan prior to scheduling your child’s dental sealant appointment. Fluoridated toothpaste versus dental sealants. Which is better? Effective toothbrushing with a fluoridated toothpaste does help to reduce the ability of the bad bacteria to make acid that demineralizes tooth enamel (outermost layer of a tooth) on the smooth surfaces of our teeth. easy to effectively clean and protect these surfaces from dental caries. What is the difference between a dental sealant and a dental filling? A dental sealant is a thin plastic coating bonded to the chewing surface of molar teeth to prevent the formation of dental caries. A dental filling is a restorative dental procedure. A tooth requires a dental filling if your dentist examines your teeth and detects the presence of dental caries. Can dental sealants be placed if I have dental braces? bonded to either the front or backside of teeth and orthodontic bands are bonded to the outer perimeter of back molars. Neither, interfere with the visible chewing surface where dental sealants are applied. Will dental sealants help reduce tooth sensitivity? A dental sealant may help reduce temperature or chewing sensitivity if your dentist determines that the source of your tooth sensitivity originates from a virgin, permanent molar tooth with deep pits and grooves. If not, your dentist will discuss alternate options to manage your sensitive tooth. of teeth. Instead, your dentist may recommend the placement of a tooth colored filling to eliminate tooth sensitivity. Call (763) 586-9988 to schedule or click button below to request an appointment .